Mid-season variety with good hardiness and good productivity. Canes are tall, spiny with very good suckering. 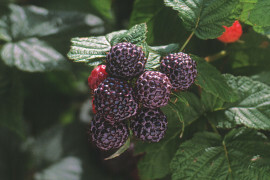 Raspberries are large with excellent firmness and excellent flavor. Mid-season variety with good hardiness and very good productivity. Canes are medium in height, spiny with good suckering. 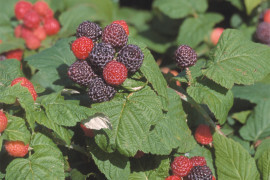 Raspberries are large with excellent firmness and excellent flavor. Resistant to anthracnose.